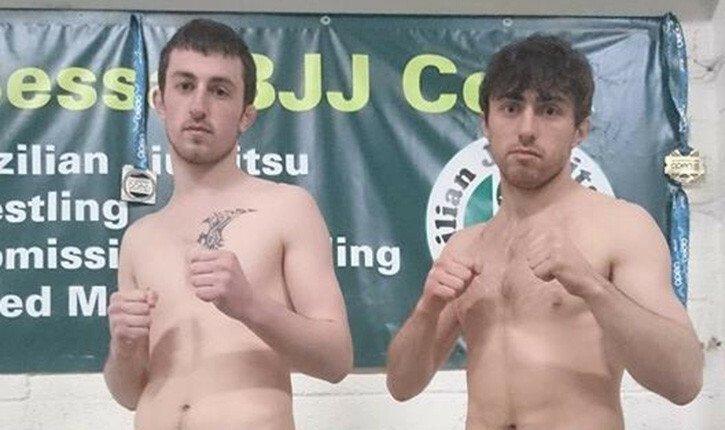 We spoke with brothers Arann & Jack Maguire before they go back in to competition at Battle Zone 15. With a club name like BJJ Cork, my first impression is that you guys focus alot on BJJ. Can you tell me a little bit more about the club? Training in BJJ Cork has been brilliant for me, I started training two years ago now and I had no experience what so ever to begin with. Just even in the two years I have come such a long way and that really shows the caliber of training, trainers and training partners I am surrounded by here. You are fighting Ryan Thomas from Next Generation. What are you expecting in this fight? Yes. Ryan Thomas is definitely an experienced fighter so he’s been here before. He knows what to expect when it comes down to it. For me, I’m new to this so I will relish any opportunity with anybody and I know both of us will leave it all in the cage. I’m expecting two guys who will want to do what ever it takes to win so I’m prepared. How have your preparations gone in this fight camp? My preparations have been very good. I’ve kept fit and very busy. Like my brother, I have trained twice a day and take a rest day as it comes. I am surrounded by eager and talented fighters and my coaches, Arann and Liam, are fantastic at keeping me sharp. This makes everything easier for me. As a bantamweight, do you find yourself having to train with bigger guys? In a way, yes. In terms of Mma training I find that most people I spar or train with tend to be bigger than me but it’s not too much of a difference. I’m lucky Arann and one or two others are hanging around at that weight so I get a bit of both. When you look to the guys in your divison. Who stands out to you as a pro fighter you look up to or would like to emulate? 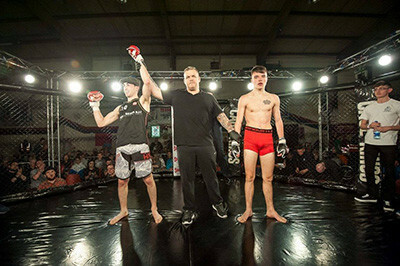 What can we expect to see from you in your bout on April 2nd at Battle Zone 15? Well I’m hoping I can show you guys a bit of everything on April 2nd. I’m in this sport because I love all aspects of it so you won’t be seeing me shy away from any situations or exchanges in either grappling, wrestling or striking. I’m going to Dublin to put all my hard work into a fight and leave everything behind. You’re taking on Nathan Kelly for the Battlezone Bantamweight Title. Can you break down your journey that finds you fighting for the title? I’ve been fighting for a while now. I think I had my first MMA fight in 2010. In the last few years I’ve had terrible luck with injuries. 2 years ago I fought for the Battle Zone Featherweight Title. I won but I also broke my leg in the fight. It was over a year before I had my next fight. When I fought again I still wasn’t in great health. I moved down to Bantamweight and fought for the title. I ended up losing that fight via decision. I took a few weeks after that to recover and then hit the gym hard again. A week in, I unfortunately ended up breaking my leg once more. I have since recovered and I’m feeling great. I’m looking forward to another shot at that Bantamweight Title and I intend on bringing another belt back to Cork. 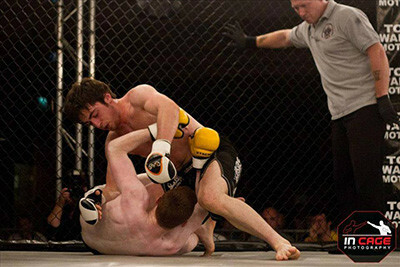 What do you know about your opponent the current bantamweight champion Nathan Kelly? I know that he fought and beat a very tough opponent in Ian Cleary to win the title. In my opinion Nathan Kelly is a well-rounded fighter and I’ll have to be prepared for wherever the fight goes, ground, wrestling or striking. He comes from a good team in Kyuzo as well and I have no doubt that Barry Oglesby and the rest of the lads up there will have him well trained. Can you give us some idea of how much time and hard work you have put into your preparations to get you to this point in your career? I put all my time into this. I train twice a day everyday unless I need to rest the body. I don’t consider it work as I love it too much. I’m always looking forward to getting into the gym and working on whatever it is I feel needs to be improved. Are you expecting a contingent from Cork to make the journey north? I certainly hope so. In my last few fights I’ve had great support. We’ve travelled up in force and it really motivates me to perform to the best of my abilities. I hope this time around will be no different. With a win at Battle Zone 15, how does the rest of your 2016 fight calendar look? I’m hoping to keep busy throughout the year. I definitely hope to fight again in the summer. And after that, who knows, if I’m fit and healthy I will look to fight almost every second month.